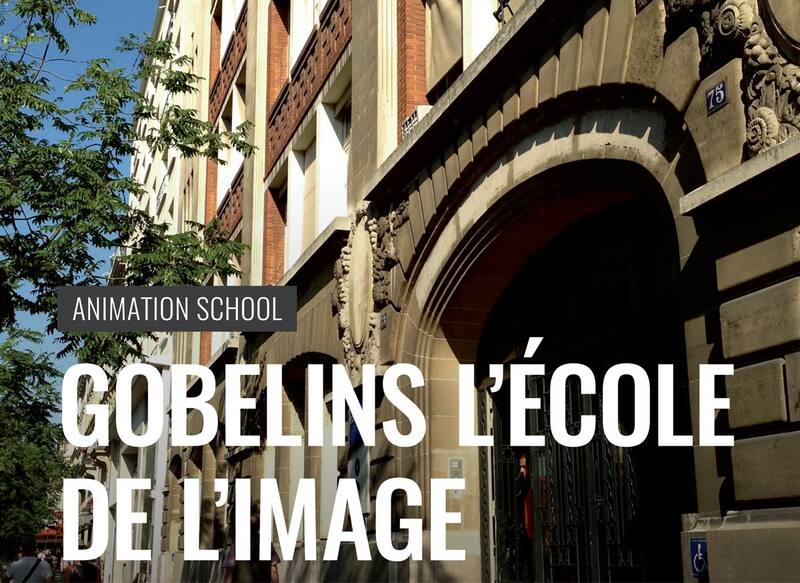 Gobelins L’École de L’Image is a prestigious Paris-based school of visual communications. It offers courses in Photography, Animated Filmmaking, 3D Animation, Motion Design, and Video Game Design. The world renowned Cinéma Department of Animation traces its history back to 1975. 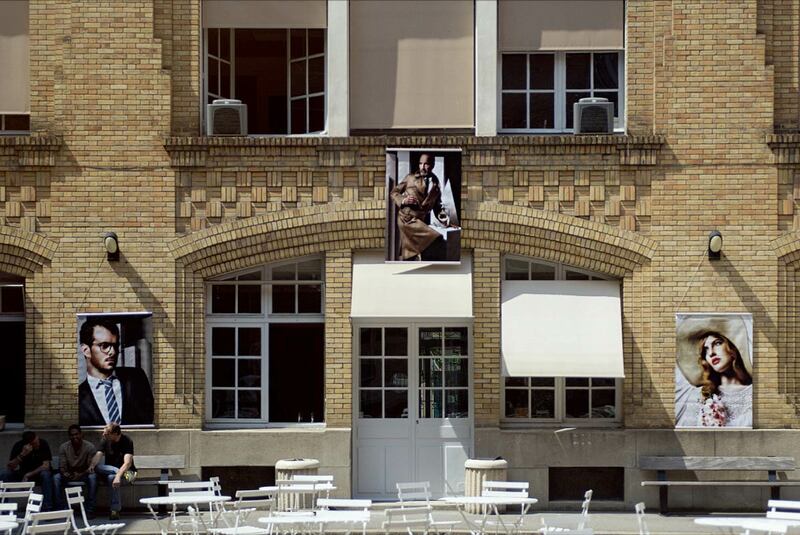 Over the past forty years since its foundation by Pierre Ayma, the department has been playing a major role in the development of the European and global animation industry. It offers comprehensive courses that prepare students to work at all stages of the animation process: creation, design and production. Their courses also give special attention to character animation. Talented graduates have established reputations with their artistic visions and developed skills. Many of the graduates are working with international animation studios such as Disney, Universal, Pixar, and DreamWorks, as well as in many prestigious animation studios around Europe to contribute significantly to the foundation and growth of the European animation industry. Former students include well-known distinguished individual artists Didier Cassegrain, Jean-François Miniac, and Pierre Coffin, to name but a few. 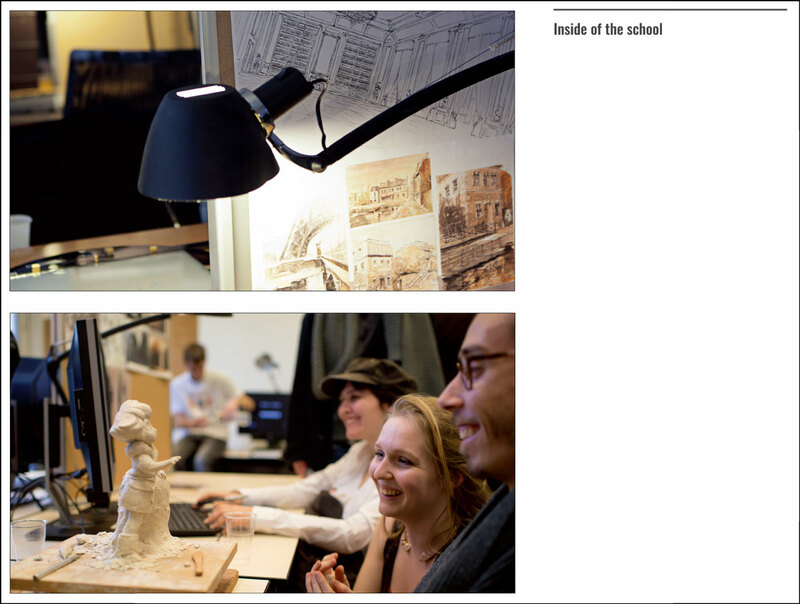 Well-structured teaching, a strong support system for the students, and a strict selection process of quality talent accompanied by students’ passions and efforts seem to be keys to a proven record that Gobelins keeps achieving. The curriculum of a four-year full-time degree for Animated Filmmaking is structured to ensure each student acquires solid technical skills as well as a good cultural understanding. Students learn every step of animation from story development, character design, storyboard, layout, use of lights, and sound design. They also have life-drawing classes supplemented by lessons in perspective, painting, and human anatomy. Graduates who acquire the necessary skills to express what they want can choose their career paths without any restraints. They have the skills to be able to join companies, work on professional projects, and adapt to changes in their future professions after completing the four-year course. Not only the diversity of artistic styles is seen, as Perrin said, there is also a diversity of stories in the animations created by students and graduates. Questioning the thought process seems to be the crucial part of the studies behind these two characteristics. Although it is not always easy to manage students who are asking questions all the time, as Del Solar acknowledges. Teachers treat these questions as important, and encourage students to think in classes. Thinking is essential for students to be successful with their artistic styles in the world of animation industry, according to Perrin. This is because Europe does not necessarily have ample budgets for animation projects like in the United States. 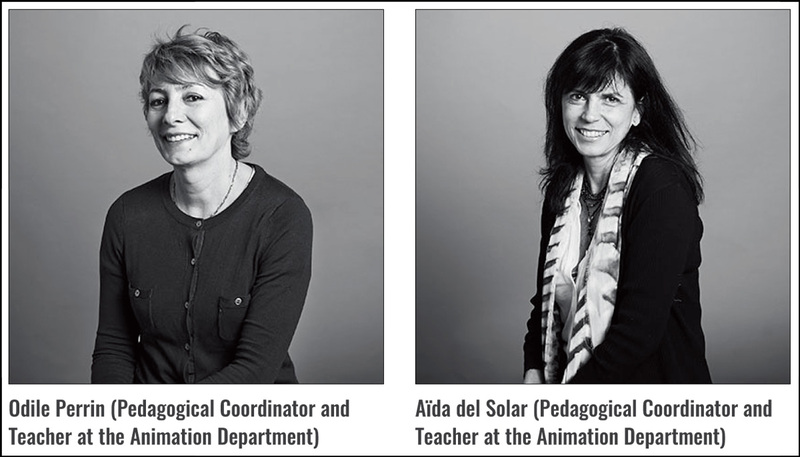 According to Perrin and Del Solar, Gobelins’ programs take an innovative pedagogical approach. Students are given various opportunities during their school years. 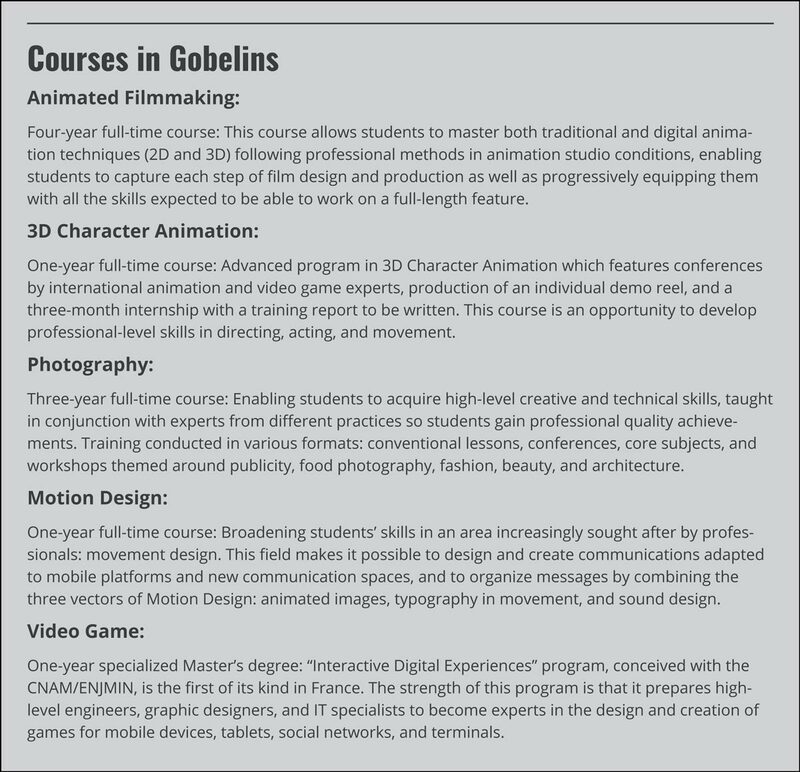 Gobelins nurtures students through every possible means such as teamwork, workshops, project-based courses, tutoring and self-training with specialised resources, interdepartmental projects and collaboration, professional assignments, final projects presented in exhibitions, publications, and international festivals. This is the reason why graduates are known to be at professional levels when they join the industry. Teaching staff from the school work hard to build and maintain professional networks for the students. For example, the teaching staff comes to Cartoon Movie (a pitching event dedicated to European animation features) along with some of their students. Perrin and Del Solar explain that there are two objectives of their visit – one is to give students opportunities to learn how to pitch professionally, and another is to know the latest projects on which their graduates are working, and let their students learn about internship opportunities or help their career building. One of the characteristics of the animation production scene is co-production within European countries, says Perrin. To help students learn to work collaboratively with other European countries, there is an initiative called “Animation Sans Frontières”. The participating schools are Filmakademie Baden-Württemberg in Germany, Moholy-Nagy University of Art and Design in Hungary, The Animation Workshop in Denmark, and Gobelins L’École de L’Image in Paris. The program consists of a 4×2 weeks set of lectures and workshops, and is designed for junior European animation film and production professionals to understand the European and international animation industry and markets, and to acquire tools to develop, finance, and produce their own projects and careers. Nowadays, the animation industry is one of the unique industries open for people to work globally with their own technical, creative, and artistic skills. Gobelins has been trying to produce talent who can work in the global environment, as well as to have a strong establishment in Europe. One of their efforts is resulted in a new degree program titled “Master of Arts in Character Animation and Animated Filmmaking.” Del Solar says, “It is open now for international students, but they have to have the same skills and degree as Gobelins graduates to join this new program.” This two-year full-time course will have a special focus on character animation. After completing exercises in writing, storyboard, and animation, students work on an open-themed studies in similar conditions practiced in the professional workplace.